Built in 1756, Fort Amherst was to provide protection for Chatham dockyard on the Medway river in the event of French invasion. 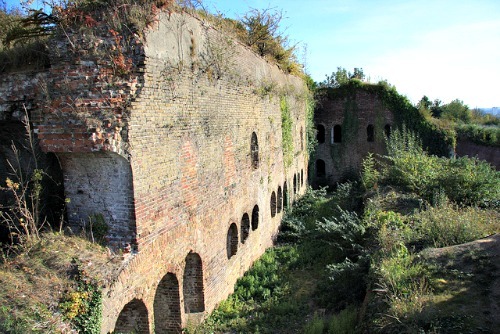 The fort was to be built here after a Dutch attack which inflicted a huge amount of damage on the dockyard, and so plans were made for a number of defensive fortification. During the American revolutionary war, two Redoubt were built, which is a small enclosed defensive structure, both carrying massive firepower which included 14 42-pounders, 10 9-pounders, 8 6-pounders and 2 4-pounder guns. During the work carried out on the fort in 1779, the workmen found the remains of an earlier Roman structure as well as pieces of pottery, weapons, jewelry and coins. The fort today is open as a tourist attraction but please check with the venue directly to check any seasonal opening times. Before its opening to the public in 1983 there wasn't any records of people reporting any paranormal activity at the fort, but since then many people have claimed to have experienced something spooky at this place. The most common occurrence at the fort which is reported on an almost daily basis is the presence of shadowy figures moving across the walls, even in the daytime. This has been going on constantly and throughout the whole fort, with people saying they have seen them coming towards them but with nothing to create the ghostly shadow. Disembodied voices are also commonly experienced throughout, with people claiming to here them right in their ear as if someone was standing inch's away. You can imagine the fright of such a thing and this has sent many a visitor running from the room. The lower gun room is thought to be home to the ghost of a past soldier, with him appearing in full uniform to staff or to those who have visited the fort several times. The tunnels under the fort are definitely the hotspot's for paranormal activity. The further down into the tunnels you go, the more they seem to be haunted. 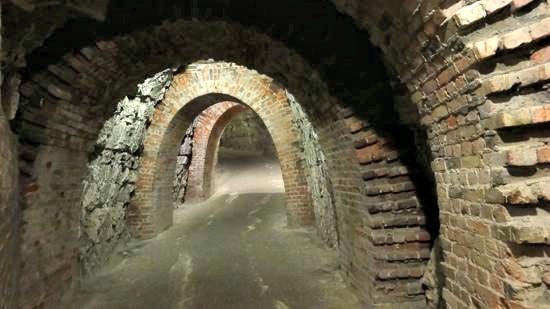 There's said to be everything from poltergeist activity to ghost who like to touch the visitors down here.The spirits in the tunnels have been known to give direct responses to requests made by visitors and ghost hunters, making banging noises upon request or touching the person talking. There's also a number of claims of people who have said they have found small dusty hand prints, about the size of a child's hand on their back. This may sound a little strange but the number of independent claims of this on a regular basis cannot be ignored.